"It was really cold [Sunday], about the fourth straight day of low temperatures. 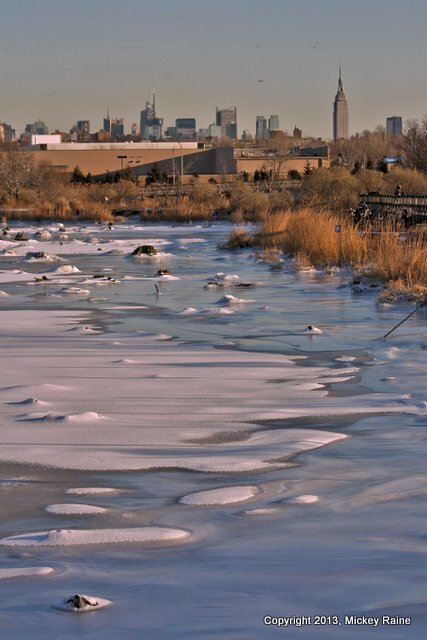 But at Mill Creek Marsh, the heavy winds picking up some of the chill from the iced over water as it whipped around, made for a particularly frigid outing." "We were there roughly an hour before sunset, so the sky had cast a beautiful, rich blue upon the snow covered areas and the exposed icy water.